The new operator allocates sufficient memory to hold a data object of type data-type and returns the address of the object. The pointer-variable is the pointer that points to a data object created with new. Manipulators are operators that are used to format the data display. endl and setw are manipulators. Overloading means assigning different meanings to an operation,depending on the context. 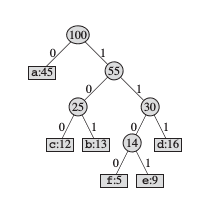 The operator * when applied to a pointer variable, gives the value pointed to by the pointer.But it is also commonly used for multiplying two numbers.